You both enjoy and need to be active and on the go, and are more interested in the present than in the past. Once something has outlived its usefulness, you are both ready to part with it and you go on to something new. You both have a low tolerance for boredom! You also share a weakness in common: the inability to stick with things (projects and relationships) when they become dull or problematic. Neither of you wants a very clingy, dependent type of partner, and with one another you have a certain amount of independence that you both enjoy. Sometimes GEMINI wants to discuss an idea, while ARIES becomes impatient with the conversation, feeling that they are beating around the bush, and not really getting to the heart of the matter. ARIES becomes abrupt, impatient, and tactless at such times. GEMINI must realize that ARIES simply does not have a taste for conversation at such times, and must not rely too much on ARIES for daily conversation. Handled positively, GEMINI can provide lots of different perspectives on ARIES's impulsive ideas. TAURUS is stable, grounded, and steady - qualities that GEMINI lacks and feels both drawn to and impatient with sometimes. TAURUS is intrigued by and respects GEMINI's wit, mental agility and intelligence, but is sometimes annoyed with GEMINI's inability to make a commitment or to follow through on intentions. GEMINI likes to talk and can jump rapidly from one topic to the next in rapid succession. TAURUS, on the other hand, likes to methodically digest one topic at a time, and quickly gets "mental indigestion" from GEMINI's fast-paced conversation. When faced with an important decision, for example, TAURUS would benefit by taking a quiet walk in the woods or along the beach, while GEMINI needs to talk with someone. You must learn to respect each other's different styles, or you will certainly get in each other's way. Both of you are curious, witty, and talkative people. Like children, you love to explore, you love variety and become easily bored, and you don't take life as seriously as most other people. You enjoy the companionship and intellectual playfulness of one another. You both love to talk. Variety and change are the bread and butter of your lives, and although you may occasionally wish that life was more settled and less hectic, you know that such an existence would be much too dull for you! You have certain potential weaknesses in common, which come to the fore when you are together: you are too ready to give up (on a project or a relationship) when it becomes difficult or demanding. You also tend to live in your head and avoid paying attention to your feelings. Together you may get caught up in word games, intellectual sparring, and light banter. You use humor to gloss over serious topics and deep emotional issues. CANCER is usually the one who takes care of family affairs -writing letters to family members, visiting family members, providing the emotional support and care needed by children (and adults! ), and, in general, is more attentive to people's feelings and emotional needs. CANCER is also more attached to the past, fond memories, places, and friends than GEMINI. Sometimes GEMINI is indifferent to the concerns of CANCER, and often simply cannot become as emotionally involved about an issue or situation as CANCER. Even if GEMINI is a caring, sensitive person, you still find concerns are expressed differently and are directed less personally than those of CANCER. GEMINI often wants to approach problems intellectually by discussing them whereas CANCER seeks a change in attitude and feels that talking often evades the underlying problems. Many of the misunderstandings between you arise because GEMINI is more emotionally detached and rational, while CANCER is more subjective, emotionally involved, and unable to be as articulate and "reasonable" as GEMINI is. Paradoxically, you are attracted to one another for the same reason! GEMINI's mental agility and wit appeals to CANCER, CANCER's sensitivity and depth of feeling is attractive to GEMINI, and you both have much to learn from one another. You both have a very childlike, playful, fun-loving side that is brought out when you are together. You both love drama and color, and you find one another to be delightful and interesting. GEMINI is more intellectual than LEO, however, and needs a variety of people, activities, and interests in order to be happy. LEO wants to be the most important person in GEMINI's life, and may not appreciate all of GEMINI's other interests and friendships. LEO makes commitments and keeps them better than GEMINI does because LEO is less restless. Once having found something good, LEO sticks with it, and doesn't completely understand GEMINI's desire for novelty. Also, LEO is very proud and has a sensitive ego, while GEMINI can be a merciless teaser and doesn't always take LEO seriously. For the most part, however, you are great friends and can be very compatible lovers. The two of you are both intellectual creatures, more rational than emotional, and you have a good mental rapport. You both love to talk and you appreciate one another's wit. VIRGO, however, has a more practical, down-to-earth turn of mind, while GEMINI just enjoys playing with ideas, without needing a purpose or practical application for them. GEMINI is also more of a risk-taker and will gladly do something once "just for the experience" while VIRGO is more careful, cautious, and discriminating. For the most part, however, you understand each other well, and can be quite compatible. You have an excellent mental rapport, and you enjoy one another's intelligence, wit, and style. Both of you are very social creatures who thrive on interaction with people, cultural activities and conversation. Your match is likely to be a very egalitarian one, for you both want a partner who is an equal and a friend above all else. LIBRA is very considerate, has a strong desire to please GEMINI (or any partner) and will compromise readily; LIBRA always sees numerous possibilities or desirable alternatives, and you both have trouble being decisive or making up your minds sometimes. Both of you are curious individuals, rather restless and on-the-go. You can expect your lives together to be very active, with lots of changes, probably frequent moves, adjustments, surprises, and new challenges. These changes will bring lots of ups and downs, but overall both of you will be greatly enriched by these diverse activities and interests. SAGITTARIUS is more philosophical and has grander plans than GEMINI, who takes each step as it comes and find more pleasure in the little things in life. SAGITTARIUS enjoys being on a crusade or mission for some philosophical reason or for personal gain, while GEMINI finds SAGITTARIUS's dreams and schemes entertaining and interesting. You often see things from a different perspective, but usually you can benefit from each other's viewpoint and you are adaptable and flexible enough to listen to each other and benefit from each other. Personal freedom is important to both of you and you are likely to find it in this relationship. Even if you are always together you do not cling to, or smother, each other. On the whole you are very compatible. The two of you are very different! CAPRICORN approaches life in a much more methodical, planned, patient manner than GEMINI. CAPRICORN uses a clear strategy and is willing to work hard for many long years to gradually achieve the intended goal. CAPRICORN is capable of great reliability and dedication, and will, for example, be willing to work through years of school until the desired degree is achieved, or work through a business or government hierarchy until a top position is achieved. GEMINI may also be successful, but the route is very different. GEMINI succeeds through curiosity, flexibility and adaptability, and communication skills. Unlike CAPRICORN, GEMINI is not inclined to persevere through the dry periods but rather moves on to more interesting material once a point of stagnation is reached. Both approaches can work, but they are different, and you may reach points in your lives where you cannot come to an agreement on the proper path to take. CAPRICORN often seems like the adult in the relationship and can feel too conservative or serious to GEMINI. GEMINI is more like the child (or adolescent), being more flexible and playful but also less reliable and consistent. Although you are different people, you might find that your basic goals and outlook in life are compatible. You have an excellent intellectual rapport. You spark each other's wit and you love to toss ideas back and forth. Intellectual companionship is important to both of you, and in this relationship you have found a partner whose conversation and company you enjoy. You have the potential to be very good friends, not just lovers. Shared viewpoints, common interests, and social activities are key elements in your relationship. Any relationship will have its challenges, but the two of you share a pleasing overall rapport that can help smooth over other differences. Both of you are very open-minded, adaptable and flexible people, who are receptive to many different points of view and ideas. You are both also quite changeable and fluid and sometimes inconsistent. If you are looking for a steadying hand or a rock of Gibraltar, look elsewhere. GEMINI approaches situations or problems in a more cerebral, rational manner, while PISCES relies more on intuition and feelings. 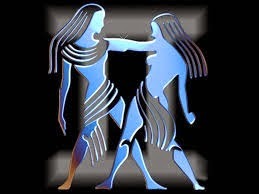 GEMINI may sometimes try to force PISCES to directly discuss an issue, which can be futile. PISCES may not be able to articulate ideas in as convincing a way as GEMINI, but PISCES tends to draw upon a level of wisdom and sensitivity that is very deep, though difficult to formulate clearly in words. GEMINI is more factual, like a reporter, and PISCES is more of a poet. You both must remember that there is truth in both ways of understanding the world. GEMINI finds PISCES ineffable and enigmatic at times. PISCES find GEMINI's nervous energy and hectic pace rather unnerving.